The information about malaria and vaccinations on this page is just a basic guide and you should consult your travel doctor before the trip. Information about traveler’s health in Zambia can be found on the pages of the government organizations and travel clinics below. There is a high risk of Malaria in Zambia. The rainy season is a time when the risk of transition is at its peak. Click on websites below for more information. Vaccinations are recommended. Take a look at the websites below for advice regarding immunization. Zambia is an amazing safari destination and you will have a chance to spot most of the high profile animals. Kafue, South Luangwa and Lower Zambezi are ideal for leopard sightings. However, cheetah and wild dogs are not that easy to see. The only place in Zambia where you can see a black rhino is in North Luangwa, while white rhino can be spotted only in Mosi-oa-Tunya. There are many amazing endemic sub-species in Zambia including Crawshay’s zebra, Thornicroft’s giraffe, and Cookson’s wildebeest. Specific swampy areas are home to black lechwe and Kafue lechwe. The best time for wildlife viewing is during the Dry season from May to October. During this time of year, animals gather around rivers and waterholes and the water is scarce. Animals are easy to spot at this time and the bush is less lush. The weather usually gets really hot from October until the Wet season that starts in November and lasts until April. It is difficult to drive on some roads during the Wet Season and there are several camps that are closed to visitors at this time. The Dry season in Zambia runs from May to October and this is the best time for game viewing. 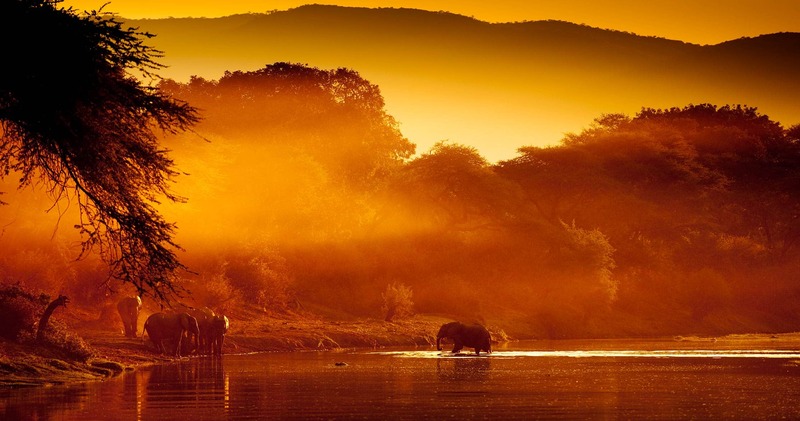 It is a time when animals gather around waterholes and rivers. On the other hand, the Wet season lasts from November to April and during this time of year the dirt roads in parks are usually impossible to pass and most parks are closed to public. You will find sandy soil and all-weather roads at the Mfuwe sector of South Luangwa National Park which make it accessible all year round. The best time to explore Victoria Falls is from June to September. Game viewing is best during the Dry season simply because there is less vegetation. It is much easier to spot wildlife, since animals gather around river and waterholes. There is practically no rain, there are fewer mosquitos, and the skies are clear for most of the time. Although it is high season, only the Victoria Falls is crowded. Most of the other parks are not crowded. The best time to visit Victoria Falls is from June to September. The views of the falls are not blocked by the spray and the water is mid-to-low. Parks with lower altitude like Lower Zambezi and South Luangwa can get hot in October. Keep in mind that morning game drives tend to be cold during the Dry season. Visitors are advised to pack light winter clothes during June, July, and August. During the Wet season, the rates are lower and the scenery is greener. Newborn animals can be spotted. The Wet season is the best time for bird watching. There is no heavy rain, mostly short showers in the afternoon. There are some camps in South Luangwa that stay open and are more flexible about bringing kids. Some of these camps also offer boat trips. Wildlife is not easy to spot because the vegetation is thicker and animals can’t rely on water recourses. Most parks and camps are closed and dirt roads are impassable. The premier park in Zambia also known as South Luangwa remains open to visitors. The Victoria Falls are usually just a small steam on the Zambia side from October to December. Expect to find the greatest flow of water from March to May. However, the spray is often too strong and sometimes blocks the view of the falls. Kenneth Kaunda International Airport (LUN) is the main airport in Zambia. It is located 14km/9mi from the capital of the country, Lusaka. Travelers can either drive or fly from Lusaka between the reserves. If your safari includes South Luangwa park then you can also fly to Mfuwe International Airport (MFU). 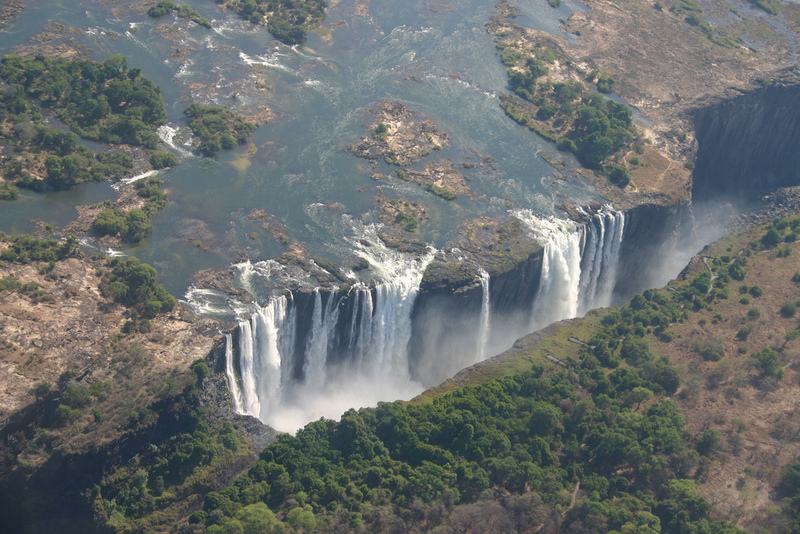 Visitors whose safari includes a visit to Victoria Falls can fly in or out of Livingstone Airport (LVI), which is located close to the falls. It’s usually the local tour operator who arranges pick-ups from the airport, as well as further transportation as part of the safari package. Check Skyscanner for flights and Expedia for multiple destination flights. This is the best way to find out which airline company offers flights to Zambia and at what cost. Proflight is the only domestic carrier that runs scheduled flights. There are small charter flights which can be used for traveling between parks and reaching remote areas in the country. In most cases, your tour operator is responsible for booking charter flights. Make sure to contact your local Zambia embassy in order to verify if the information below is valid, since entry requirements can often change. All foreigners are required to have a passport that needs to be valid for at least six months. There need to be at least three empty pages on your passport. Citizens of some countries can get a visa upon arrival, while citizens of other countries don’t need a visa to enter the country. Zambia’s Department of Immigration offers a list of countries whose residents can obtain a visa upon arrival and a list of countries whose residents don’t need a visa. In case you are coming from a country that is infected with yellow fewer, you will need to obtain a yellow fever vaccination certificate. A safari in Zambia is not about infuriating the big five. Professional will provide information on walking safaris. Adventurous travelers should definitely not miss a canoeing safari on the Zambezi. South Luangwa National Park is the most famous park in Zambia. Expect to see four of the Big Five here with only rhino being absent. Besides game drives, there are amazing night drives and walking safaris conducted and organized by some of the most experienced guides in Africa. South Luangwa National Park is suitable for both experienced visitors and first-timers. You will find plenty of wildlife in the park. Smaller creatures of the bush and birds can also be seen here. South Luangwa National Park is one of the most beautiful parks in southern part of Africa. Locals like to call it “The Valley” and it is the southern extension of the Great Rift. It is dominated by the Luangwa River. Some of the habitats include acacia shrub, riverine forest, and mopane and miombo woodland. South Luangwa is ideal for wildlife viewing and four of the Big five can be spotted easily. If you wish to see a leopard, this is one of the best parks to spot these shy cats that can usually be seen during night drives. Elephants are also present, as well as huge herds of buffalos. Expect to see lion and hyena and nocturnal creatures such as porcupine, genet, and bushbaby. Luangwa Valley is home to a few specials including the Thornicroft giraffe, which is well-known for its intrinsic patterns. Visitors will also have an opportunity to see the Crawshay’s zebra. Cookson’s wildebeest is not easily spotted and there is more chance you will see it in North Luangwa. The wetter months that run from November to April are also known as the “Emerald Season”. Although the air is fresh and the scenery is remarkable, the conditions for wildlife watching is not ideal. Safaris are more challenging at this time of the year because of the waterlogged roads and extremely hot weather. The best time for spotting wildlife is during the sunnier months from July to September before it gets hot. It’s a prime wildlife-viewing time because vegetation thins and animals gather around the river. There is plenty of sunshine and little rain. There are fewer mosquitos and the risk of malaria is lower. It can become busy at Mfuwe area where lodges are located. The high season lasts from July to October. The bush is parched and the skies are cloudy. It is cold in the mornings from June to August, so make sure to pack warm clothes. The air is fresh and the scenery is beautiful and green. Rates are lower and there are fewer tourists. Many newborn animals can be spotted. It can get extremely hot and humid. The risk of Malaria is higher than in the Dry season. It is difficult to drive because some roads are impassable. South Luangwa National Park is located close to the Mfuwe village and 700km/343mi from Lusaka. Kenneth Kaunda International Airport (LUN) is the main airport in Zambia and new arrivals often come through this airport. Regular flights transport passengers from Lusaka to Mfuwe International Airport (MFU). You can also fly to Mfuwe from Livingstone Airport (LVI) (Harry Mwanga Nkumbula International Airport), which is located near Victoria Falls. Direct flights from Johannesburg to Mfuwe are offered in the high season. Visitors who are driving to the park usually come via Chipata. The road is much better than it used to be and the ride takes is two hours long. A 2WD car will just do. Check Skyscanner for flights and Expedia for multiple destination flights. This is the best way to find out which airline company offers flights to Kenneth Kaunda International Airport (LUN) and at what cost. In most cases, charter flights between parks are usually included in the safari package. The tour operator is often in charge of booking the tickets. Proflight is the only domestic carrier and runs up to three flights a day from Lusaka to Mfuwe. This carrier also has regular flights from Livingstone. One of the largest parks in Africa, Kafue National Park is also one of the most accessible parks in Zambia for self-drive visitors. There are many quality lodges located just off the Lusaka-Mongu Road. One of the major features in the park is leopard sightings. Keep in mind that animals here can be shy. Expect to see four of the Big Five, with the exception of rhino. The park is home to a wide variety of antelope. 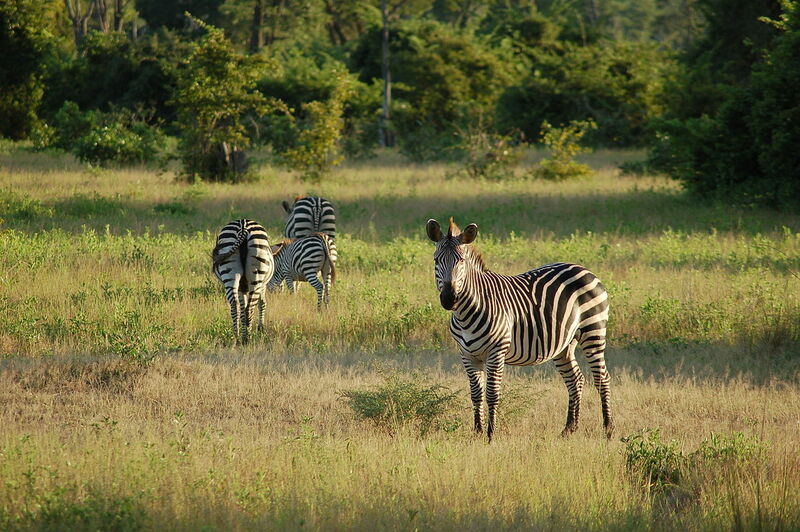 Kafue National Park boasts a wide range of habitats. The main features are the Kafue River and its tributaries. Rivers are lined with riparian forests. Patches of miombo woodland are mixed together with swamp areas away from the rivers. The Busanga Plains are located in the far north of the Kafue National Park. Beware that these floodplains are difficult to reach during the wet season. However, the floodplains are home to an enormous amount of wildlife in the dry season. There is a large variety of animals that can be easily spotted in Kafue National Park. Giraffe and rhino are the only two absentees. You will have a chance to see all big cats, as well as wild dogs. 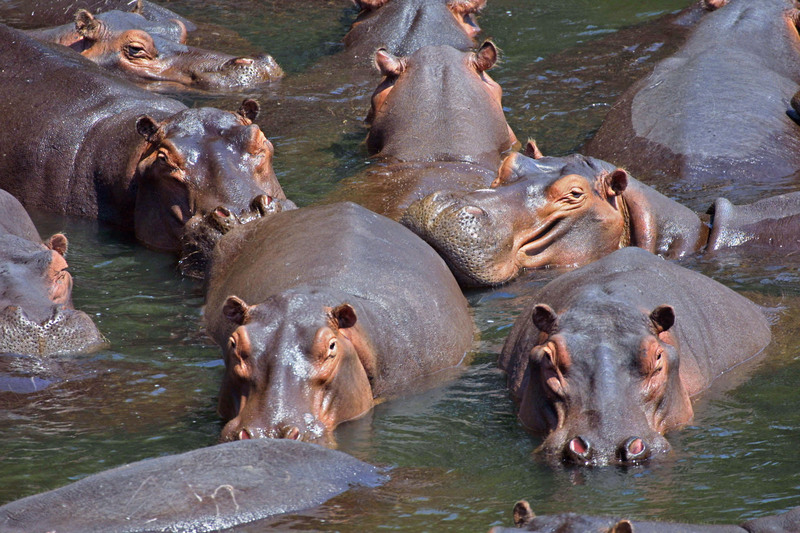 Crocodile and hippo can be found in the rivers. Elephant bulls are known to be aggressive, while elephant and buffalo are quite shy. There are also a lot of antelopes present. Expect to find wetland species like red lechwe which can be usually spotted in big herds. Travelers will also see puku and the shy sitatunga antelope. Oribi, roan antelope and Lichtenstein’s hartebeest prefer drier grounds are move around in pairs. Thanks to its tropical location, Kafue National Park doesn’t experience much deviation in temperatures throughout the year. The only exception is right before the rains arrive in October. Days are warm during the Dry season which lasts from May to October. The Wet season brings hot and humid weather. Animals gather at water sources which make the conditions for wildlife viewing ideal. If you wish to visit Busanga Plains, it is only accessible during the dry season. Rates are high during this time of year. Bush seems parched and the sky can be cloudy. It’s extremely hot in October. Warm clothing is recommended, as mornings are cold. This is called the “Emerald Season”. The scenery looks fresh and green. Rates are low and there are fewer tourists. Migrants are present, which means this is the best time for bird-watching. It can get both hot and humid. The risk of Malaria is higher in the Wet Season. Lusaka is located 360km/223mi from Kafue National Park. It is relatively easy to reach the park via the Lusaka-Mongu Road by car. There are a couple of lodges located close to the highway. In case you wish to venture any distance into the actual park, a good 4×4 is recommended. A couple of safari operators can be found in Lusaka and they offer trips to Kafue. In order to find out which airlines transfer passengers to Kenneth Kaunda International Airport and about prices, please check Expedia and Skyscanner. In most cases, chartered flights between parks are part of the safari package. The tickets for these flights are usually booked by the operator who is arranging the safari trip. There are no scheduled flights to Kafue. However, you can book tickets for scheduled flights between Mfuwe, Lusaka, and Livingstone. The only domestic service that offers scheduled flights is Proflight. Located on the northern bank of the Zambezi River in Zambezi Valley, Lower Zambezi National Park offers a variety of wildlife including four of the Big Five with only rhino are absent. One of the most popular attractions is definitely canoeing on the Zambezi. The Zambezi River is the main feature of the park. Muchinga escarpment is the northern boundary of the park and it forms an amazing backdrop to the river down in the valley. There are mopane woodland, sandy flats, and acacia shrubs in the river. Although the variety of wildlife is not as diverse as in South Luangwa or Kafue, Lower Zambezi National Park is home to a many animals. You will have a chance to see elephants and buffalos, while giraffes, cheetahs. Some of the main predators here include spotted hyenas, lions, and leopards. The Nile crocodile and hippo are present in the river. There are wild dogs in the park, although they are rarely to be seen. To see some action, head out to the park early in the morning or late in the afternoon. A favorite pray for the dogs is impala. Although roan antelope is rare, you can spot it close to the escarpment. The best time to visit Lower Zambezi in July and in late September at the end of the Dry season. This is an ideal time of year for wildlife viewing. In case you arrive later in the year, expect to be greeted by the Wet Season which is known to be hot and humid. There are fewer mosquitos around, which means less risk of malaria. It is quite busy during this time of year. July to October is the high season and a time when high season rates apply. From May to August the mornings are cold and warm clothing is necessary. We call this the “Emerald Season”. The scenery looks fresh and green. Thanks to the presents of migrants, this is the best time for bird-watching. Expect to see many newborn animals. Dry Season offers superior wildlife viewing. It can get hot and humid. Some roads are in bad shape. Located 216km/134mi southeast of Lusaka, Lower Zambezi National Park can be reached by a chartered flight to one of the airstrips in the valley. You can also book a tour with one of the tour operators that offer trips from Lusaka. There is also an option of driving yourself. However, you will need to have a good, high-clearance 4×4. You can also drive to Gwabi River Lodge and from there arrange a boat pick-up. The main entry point to Zambia is the Kenneth Kaunda International Airport (LUN) and most visitors arrive here. In case you are planning to visit Victoria Falls, you can arrive at Livingstone Airport (LVI) (Harry Mwanga Nkumbula International Airport. In most cases, chartered flights between parks are part of the safari package. The tickets for these flights are usually booked by the operator who is arranging the safari trip. There are no scheduled flights to Lower Zambezi.. However, you can book tickets for scheduled flights between Mfuwe, Lusaka, and Livingstone. The only domestic service that offers scheduled flights is Proflight.